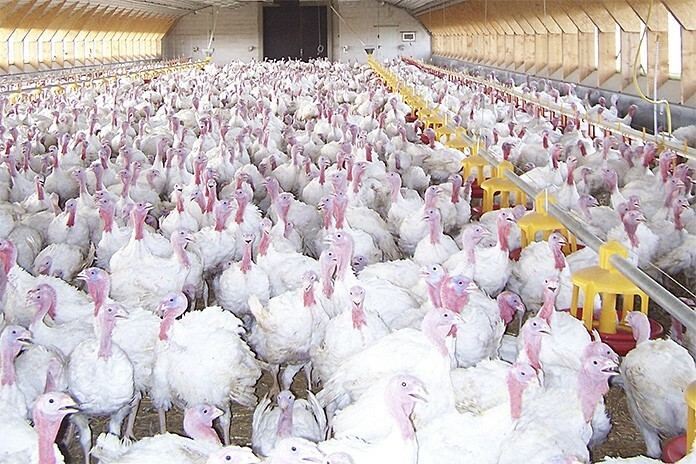 Several turkey reoviruses isolated were based on virus neutralization assays, antigenically identical to one another but differed from chicken viral arthritis reovirus isolates. There were, however, apparent differences in relative pathogenicity among the turkey isolates, which is also seen with chicken reoviruses. In both species serotyping can be used to differentiate isolates but is not predictive of pathogenicity. It can be transmitted both vertically and horizontally. Horizontal transmission occurs both orally and via the respiratory tract most likely from faecal contamination. 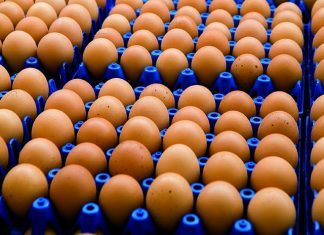 Reoviruses do not spread rapidly within a flock and may go undetected until signs and/or lesions are observed several weeks after the initial infection. The earlier a reovirus infection occurs in terms of bird age the greater the impact as expressed by the severity and incidence of viral arthritis. There is a well-recognized age related resistance to reovirus-induced disease (not infection) in chickens but this has not been defined for turkeys. 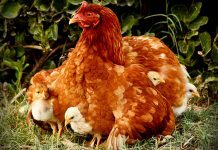 Reoviruses may persist in a percentage of a flock for extended periods in birds presenting with overt disease and the clinically normal. Serology (ELISA and virus neutralization) can be helpful for identifying actively and previously infected flocks but cannot be used to determine which birds are currently infected and potential virus “shedders”. Rates and duration of vertical transmission is difficult to predict but it is clear that viral arthritis incidence and reovirus dissemination correlates well with infected parent flocks. Viral arthritis/tenosynovitis can generally be diagnosed based on clinical presentation and confirmed by virus isolation and histopathology. Serotyping and genotyping are frequently used to further characterize and compare reoviruses isolated from affected tendons and joints. 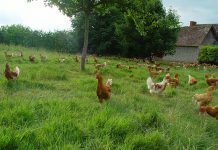 Pathogenicity can be confirmed by inoculation of susceptible poults. Currently variant reovirus induced viral arthritis/tenosynovitis is controlled by vaccination of parent flocks with autogenous inactivated reovirus vaccines frequently formulated with multiple reovirus isolates. It is believed that vaccination mutes vertical transmission while providing maternal antibody protection to progeny until age associated resistance develops. However, there is little information, other than field observations, to validate age associated resistance in turkeys, nor are there specifics regarding age of onset. 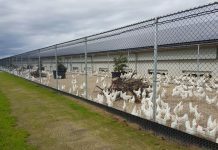 Research is needed to better define age associated resistance in turkeys and other means of control (live reovirus vaccination) should be investigated to provide a means of protecting flocks beyond what is available via maternal antibody.